~Eternal Snow~: Quick Post: Operation Reconstruct. What is this Operation Reconstruct you might be thinking... 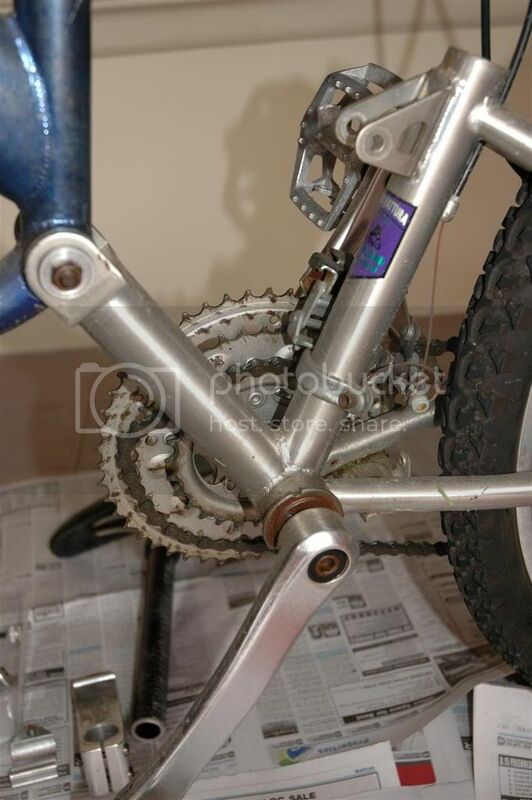 It's actually just me reworking on my bicycle. 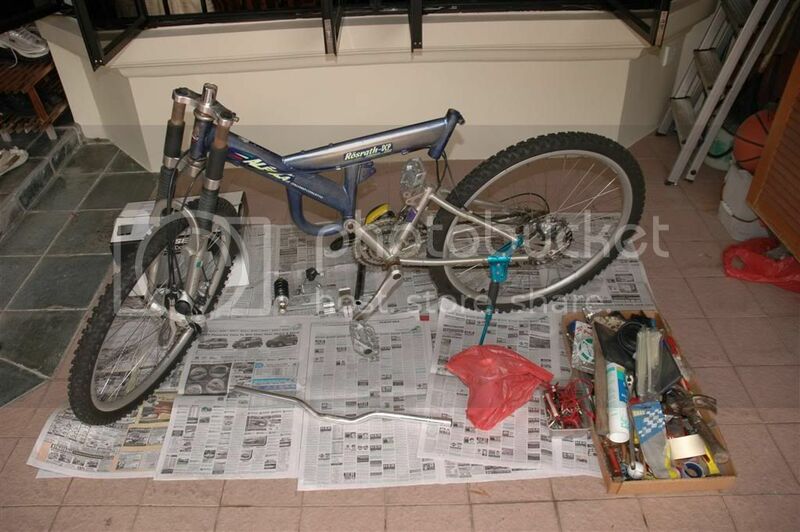 I'm going to cleanup and repaint my mountain bike, at the same time convert it to a hybrid bike, change current threaded tyres to reinforced 26" slick tyres. It's going to be a very weird hybrid bike though, since my current mountain bike is full-suspension fitted. However, after working for about 2hrs this morning, I'm hitting lots of road-blocks on this rework, like can't find spray paints I need, lack of Allen-key sizes, Allen-keys getting rounded against bolt/screw as key material is weak, certain bolts too tightly screwed in and unable to come out etc. I'm really rethinking whether to continue work on this (Est. 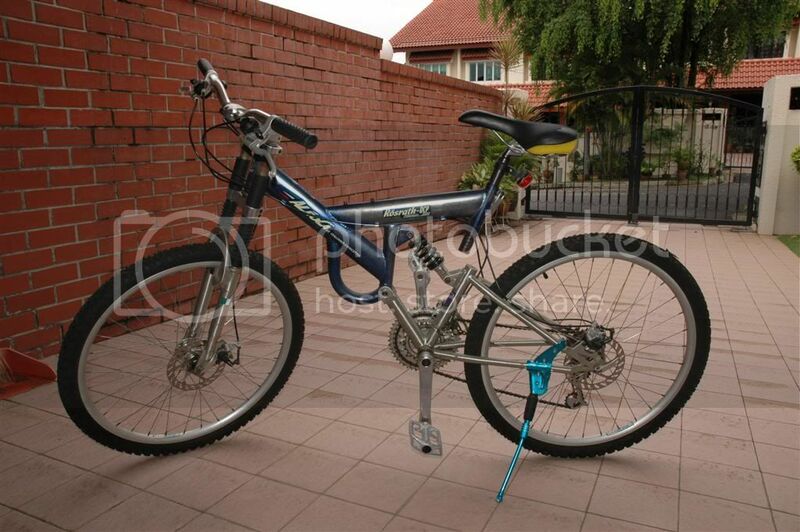 Cost: less than S$200), or to burn my wallet and just get an actual road bike for training (Est. Cost: about S$1,000 for a basic). AAAaaaahhhh choices choices choices...and lack of money. Rushing off to work now, so here's some photos. Signing out. The mountain bike in question. It's quite a old bike, about 7-8 years old. It is using a disc brake system, which alot of people tells me is overkill for a bicycle. posted any pictures on her yet right? Here's one then lol. After 2 hours of work, this is all I managed to do... so little done ><. size big enough to take out those pedals. Another problematic point, my Allen-key gets rounded trying to take out this part. Stupid bolt material so strong, and it's screwed in sooo tightly too. Look at the amount of rust on the surface....aaaaahhhh more work to remove them. 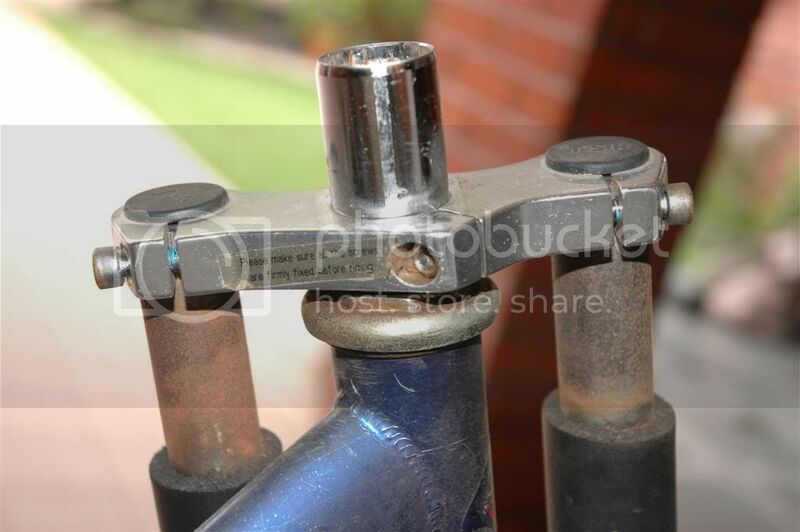 I got to spend more time cleaning up my bicycle in the future to prevent such corrosion from happening. Disc brake wtf? Are you trying to get yourself killed? the first thing i though when i saw mikaela was that you were going to modify and add the pram to your bike. panther: actually, these days, especially for mountain bikes, alot more people are changing to disc brakes for it's powerful braking force. But like you said I have no use for it here and it could get me killed if I stop too rapid on the road lol. 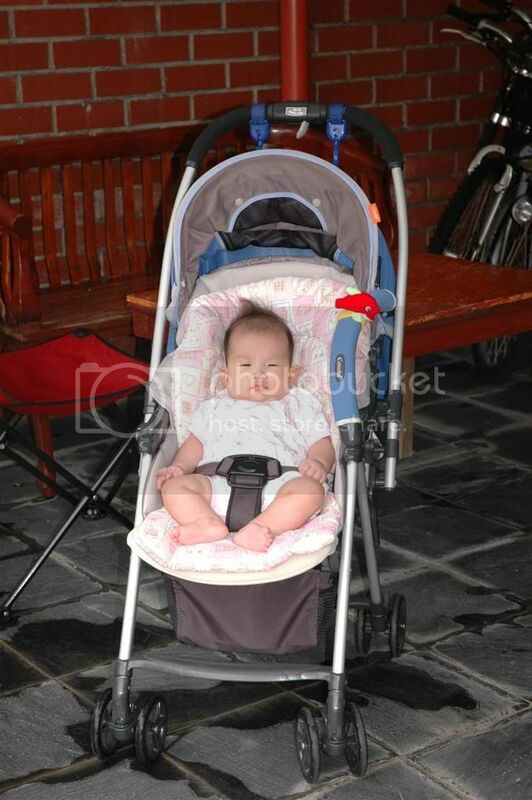 calvin: my mom would actually love that function for her own bicycle, then she can take Mikaela out for a cycle. Bicycle + Pram = WIN. HAHAHA. i can't imagine how that's going to look like.